The Wireless Festival is a weekend long festival situated in London’s Hyde Park. There is a display of the latest pop, dance, rock and new artists. There are plenty of activities including a beer garden, chill out areas and interactive games. 5th July 2010 saw Sussex Transport delivered site accommodation for the Wireless Festival as well as setting up the event facilities. 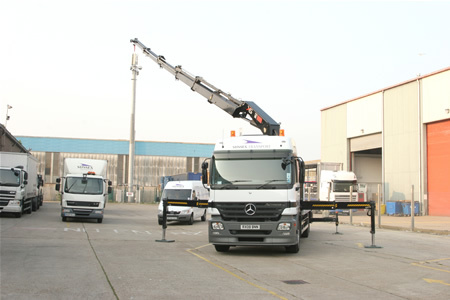 Highly trained and motivated staff, combined with our belief in excellent communication is key to our success in the Road Haulage industry – We are dedicated to our customer’s requirement. This entry was posted in Delivering to... and tagged accommodation delivery, hyde park, sussex transport, wireless festival, wireless festival 2010. Bookmark the permalink.